Assistant Chief Benny Beck, 2014 Firefighter of the Year recipient, presents Firefighter Kelly Maness with the 2015 award. Firefighter/EMT Kelly Maness was selected as the 2015 Firefighter of the Year at the annual fire department Christmas Dinner held on December 5th at Coleridge Fire Department Station 9. This award is voted on by the membership of the department for a firefighter who has gone above and beyond and shown exceptional dedication, hard work, and professionalism in the department. “This award is one of the highest honors in the fire department, because you were selected by your peers”, said Assistant Chief Benny Beck, as he presented the award. Kimberly Jeffries, EMS Coordinator at Randolph Community College has announced the Spring of 2016 EMT Training Schedule. Please contact Kimberly Jeffries at 336-633-0275 for more information. Former Chief Amos Needham passed away on Saturday, March 21. Funeral Services will be at 2 PM, Thursday, March 26, 2015, at Asheboro Pentecostal Holiness Church. Burial, Randolph Memorial Park, Asheboro with military honors by the Randolph County Honor Guard. Are you a high school student who may be interested in becoming a firefighter? These after school classes will be hosted at the Randolph Community College Emergency Services Training Center. When you finish, you will have many of the classes you need to become a certified NC firefighter. Below is an audio recording of Chief “Larry Mac” McAlister’s Last Call ceremony that was preformed on the Randolph County Fire Dispatch channel at the graveside service on January 7th, 2015. 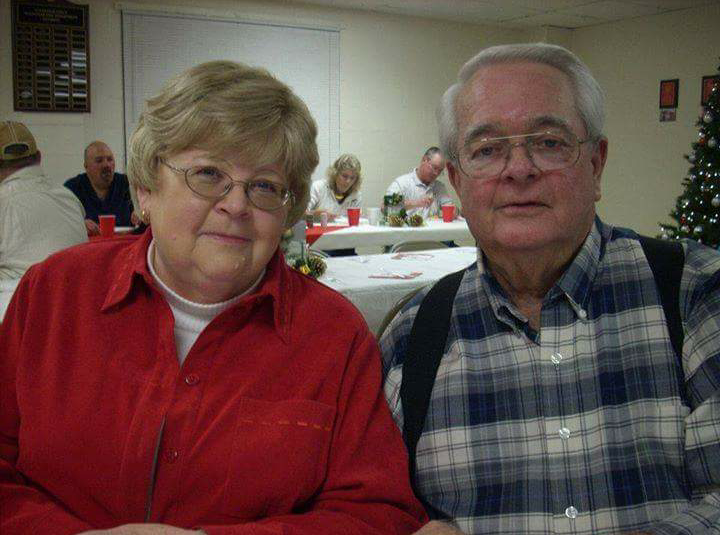 Larry McAlister with his wife, Pat, in 2011. Charles Lawrence “Larry Mack” McAlister, 73, of 4541 NC Hwy 22 South, Ramseur, NC, died Sunday, January 4, 2015 at his residence. Funeral Services, 3:00 PM, Wednesday, January 7, 2015, at Concord United Methodist Church, Coleridge. Officiating, Rev. Ed Carter, George Kivett. Larry was a native of Guilford County, a retired electrician from Eveready with 25 years of service, and a member of Concord UMC for 53 years. He was a fireman with Coleridge Fire Department for 38 years, serving as Captian, Assistance Chief, and Chief. He was preceded in death by father, Charles B. McAlister, two grandchildren, Whitney Gentry, Savannah Gentry. Survivors: wife, Pat Powers McAlister, of the home, daughters, Lisa McAlister Capps, and husband Kenny, of Milton, FL., Susan McAlister Leonard, and husband, Ty, of Coleridge, mother, Ruth McAlister McCrickard, of Ramseur, grandchildren, Matt Rector, and wife, Stephanie, of Ramseur, Tyler Leonard, and wife, Jennifer, of Yokota Air Base, Japan, Autumn Capps, of Milton, FL., great granddaughter, Aria Elizabeth Leonard. The family wishes to express a special thank you to Hospice of Randolph County, Coleridge Fire Department, family and friends. Visitation, 6:00 PM to 8:00 PM, Tuesday, at the Coleridge Fire Department, and other times at the residence. 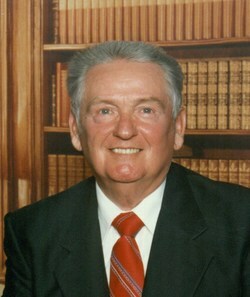 Condolences may be made online at http://www.loflinfuneralservice.com. Memorials may be made to the Coleridge Fire Department, 4495 NC Hwy 22 South, Ramseur, NC 27316. 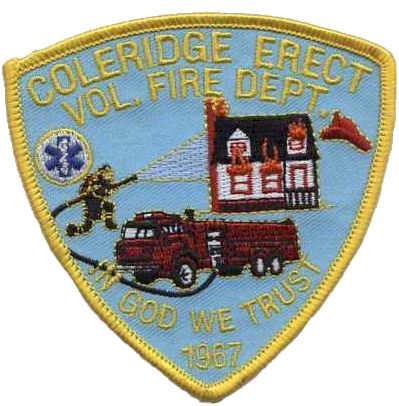 In 2014, the Coleridge-Erect Volunteer Fire Department responded to 388 incidents (unofficial), which is the highest call volume since electronic records began in Randolph County in 1993. This number is subject to vary slightly as the remainder of call reports are entered into NFIRS. Once the call reports are finalized, we will post a breakdown of the statistics on this site.